ShekouDaily is moderated primarily by its founders Gary Isse, from Los Angeles, California, USA, and Kiko Song from Changde, Hunan, China. We've both been in Shenzhen since 2007, and held our first event together here, an Easter BBQ, in April of 2009. We've been highly active in the community ever since and love being a part of anything that helps bring the community together. If you have any questions, comments, or concerns, feel free to contact us at any time. Contact Kiko 150.1413.7004, shekoudaily@qq.com (Chinese), or Gary: 150.1413.9225, gary@shekoudaily.com (English). Events & Promotions taking place in Shenzhen can be added free-of-charge to the calendar of events on the ShekouDaily website and to our daily email using this link. Please contact Kiko or Gary for information on how to share your content via our other channels or for increased exposure. If you have your own (non-commercial) story you'd like to share, you can also do so free-of-charge using this link. ShekouDaily has partnered with the Nanshan International Cultural Exchange & Service Center at Imperial Park across from Sea World, in Shekou, Shenzhen. Find us in the Foreigner Liaison Office there at: 深圳市南山区望海路东双玺花园南山国际化交流中心. If you're not already doing so, you can also follow us on other Social Media Platforms; such as: Facebook, Twitter, WeChat (Search Official Account: ShekouDaily), and Weibo. Thanks again for following ShekouDaily! We look forward to seeing you out and about. Gary first started building online communities in 1997. He holds a Masters degree in Business Administration (MBA) and has traveled to 13 countries and over 30 cities in China. Prior to coming to China in 2007, he worked at Warner Bros., and has consulted with many multinational companies in China since then. 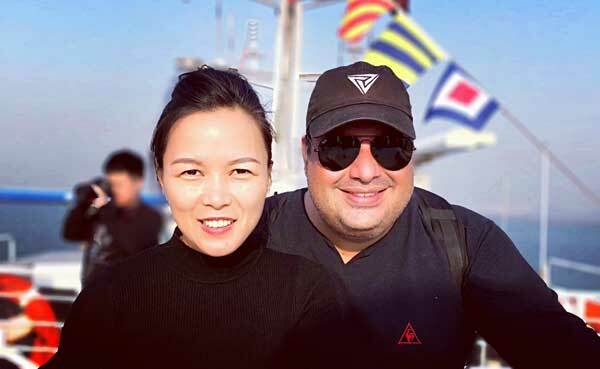 He's been holding various events for fun with his wife in Shenzhen since 2009 and in 2014, they founded ShekouDaily together.